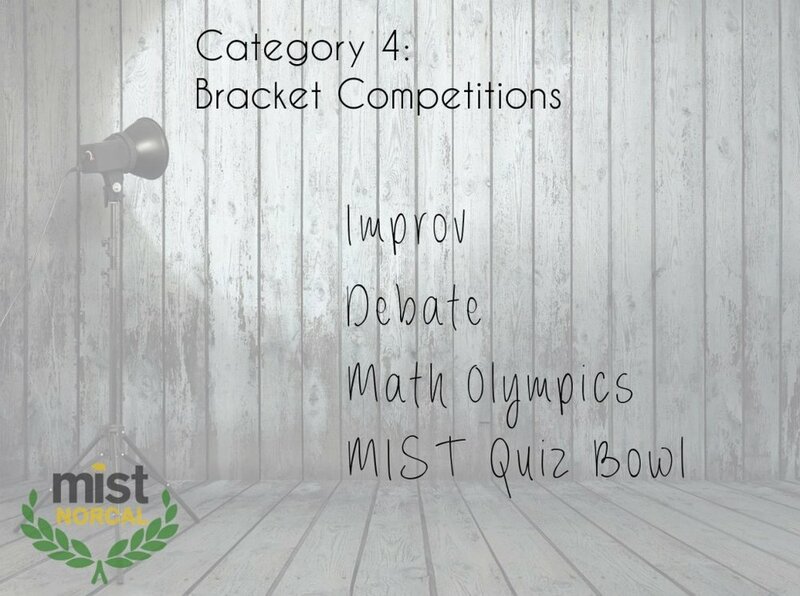 MIST hosts over 35 different competitions during each tournament. Competitions are divided into 5 categories, and each competitor can participate in at most one competition per category. * These marked competitions will not be offered in 2018. Test your memorization and recitation of the Quran in Arabic, according to tajweed (rules of recitation), and its general meaning in English. Level 1 is for beginners and Level 2 is for more advanced competitors. The Brothers and Sisters competitions are separate at each level. Read one of four books and take an open-book test on it. The test comprises of a set of questions and an essay portion to judge reading and comprehension. Are you an aspiring painter? Do you doodle more than writing notes in class? 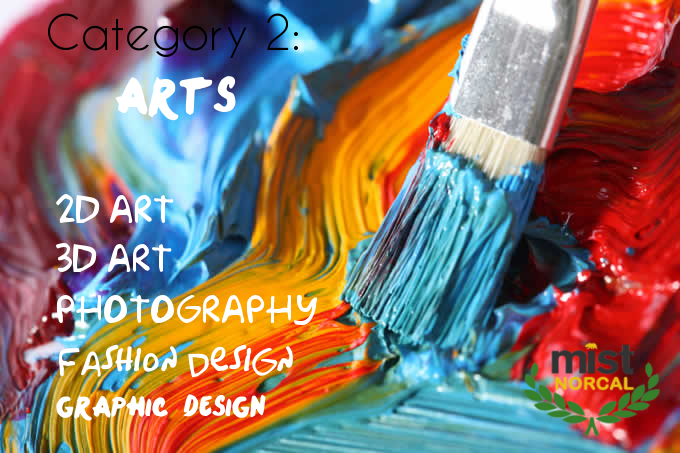 Put your inspiration on canvas with the 2D art competition! Think you have what it takes to be the next great sculptor? Is clay your ultimate inspiration? Show us your skills in the 3D art competition. Not only do you carry around your camera with you all the time, but you see everything as an opportunity for the perfect photo. Those other artists, yeah, they’re cool – but you prefer a lens and the dark room for your creative pursuits. You don’t just love fashion, you design it! Get inspired by the MIST theme to become the next fashion phenomenon. Competitors are to submit an original work of fiction no longer than 10 pages that relates to the theme and can also be applied to a competitor-defined target audience. Illustrations are permitted for younger intended audiences. 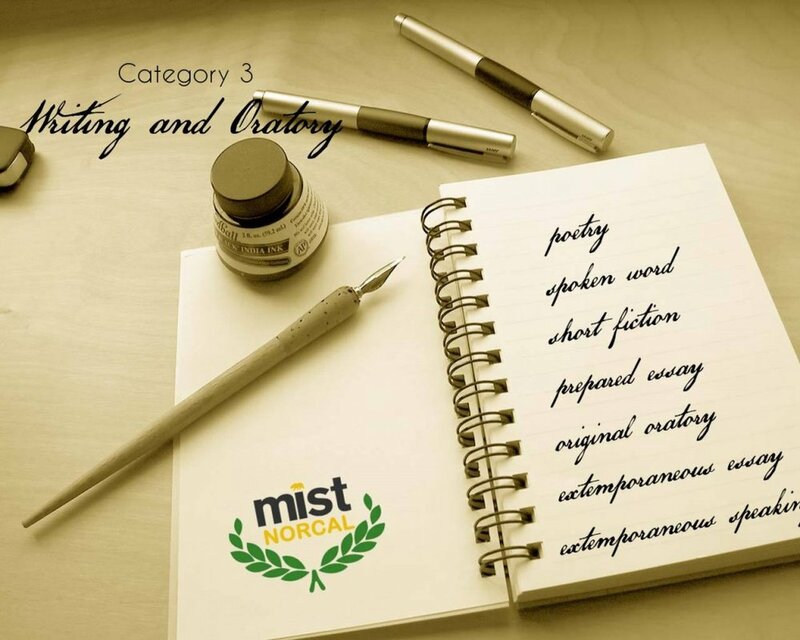 Have you been inspired by this year’s MIST theme? The prepared essay competition is perfect if you’re looking for an outlet. This is your chance to be creative and persuade us on the significance of your chosen topic. Share the passion! Here are 2018's prompts [pdf]. This competition is a fun way to display your creativity under spontaneous and timed circumstances. Each team must impress the judges in various hypothetical scenarios while under pressure to think on their feet and make the audience laugh! Are you great at winning arguments? Do you have the poise of a public speaker and the convincing tone of a scholar? Join debate to compete with others who are just like you. Showcase your editing, directing, and acting skills! 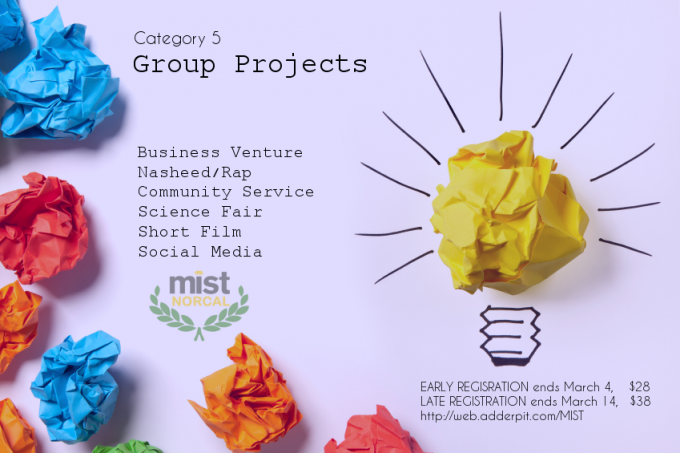 Make a documentary, drama, comedy, thriller or animation to convey a particular message to the audience while relating your film to the MIST theme. Calling all aspiring singers! The nasheed/ rap category is ideal for anyone who desires to write unique lyrics and use their singing skills to capture people’s attention about topics they are passionate about. There will be a separate competition for brothers and sisters. Hence each team must be all males or all females. Think you're fit? Play against opposing schools and take your team to the finals!